Travel Management Company IAG7 Viajes in Spain has joined GlobalStar as newest partner. 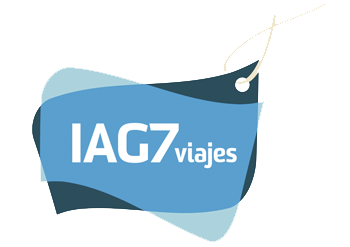 IAG7 Viajes was founded in 2005 and is headquartered in Madrid – Spain. The company operates 21 points of sale in Spain. With an annual sales revenue of over USD $175 Million and over 200 staff IAG7 Viajes ranks number 5 in the Spanish Corporate Travel industry. Over the years, IAG7 Viajes has grown to be one of the largest Total Travel Management Companies in Spain with each of its products and services certified by the ISO 9001 quality control system. The company services Spanish and International companies and is 100% connected to the Amadeus GDS. Next to Corporate Travel IAG7 Viajes holds an excellent reputation on the Meetings and Incentive market. In the words of its CEO Fina Muñoz “We are proud to be part of GlobalStar Travel Network. We believe this Global Partnership will meet all our needs and expectations. Through the GlobalStar Partnership, IAG7 will work with an industry leading organisation to innovate and develop marketing leading propositions for our clients”. “We are delighted to have IAG7 Viajes on board with GlobalStar Travel Management now” said Steve Hartwell GlobalStar’s President. “Spain is the 6th largest economy in Europe and is considered a driver market. With IAG7’s national reputation and the global TMC solutions of GlobalStar we have a successful solution for Spanish international companies who look at a Globally Consolidated Travel Management solution”.